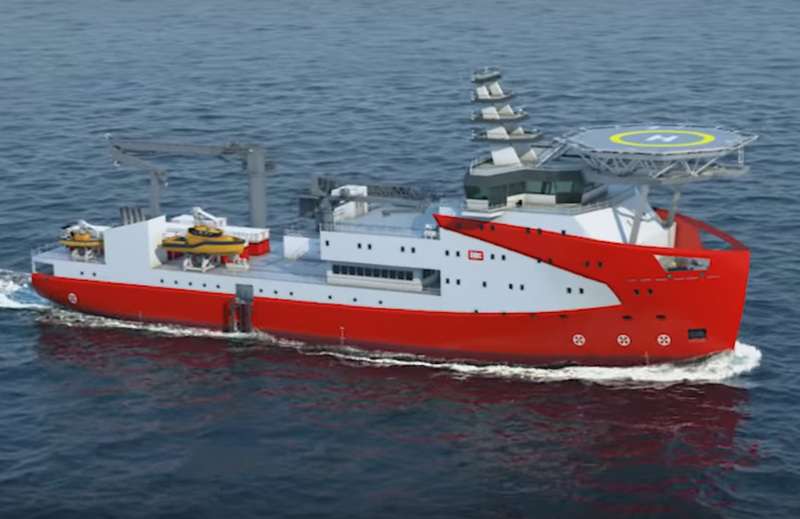 The design of offshore ships is traditionally the outcome of functional and technical requirements. 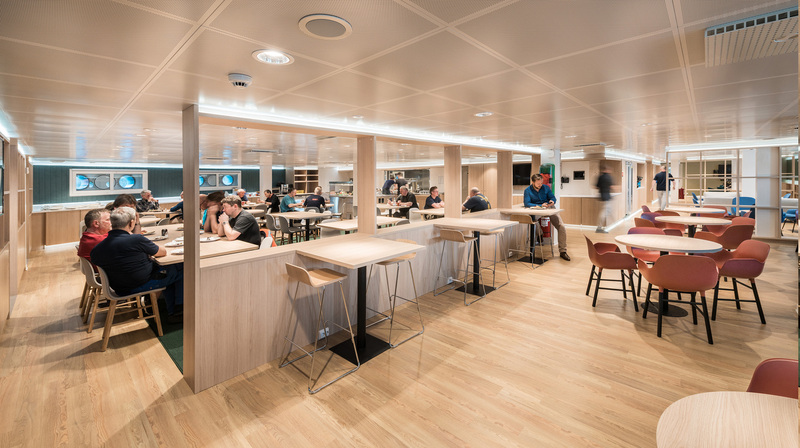 As the on-board stays of its residents can take several months, the ships become their temporary home. 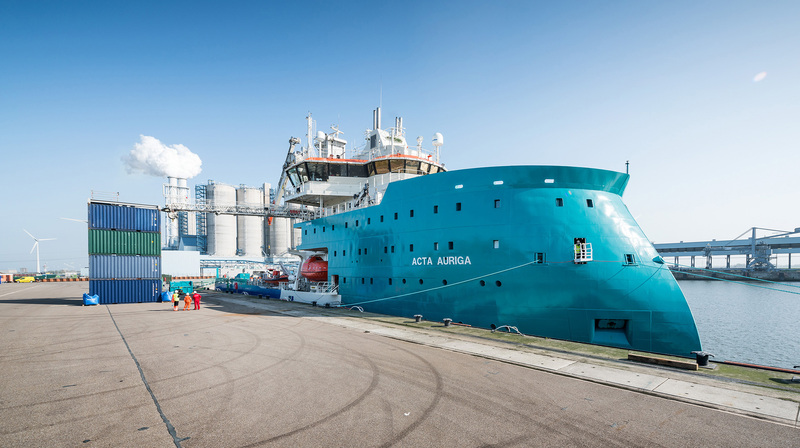 For the newest workboat manufactured by Acta Marine, HofmanDujardin was invited to add a human scale. 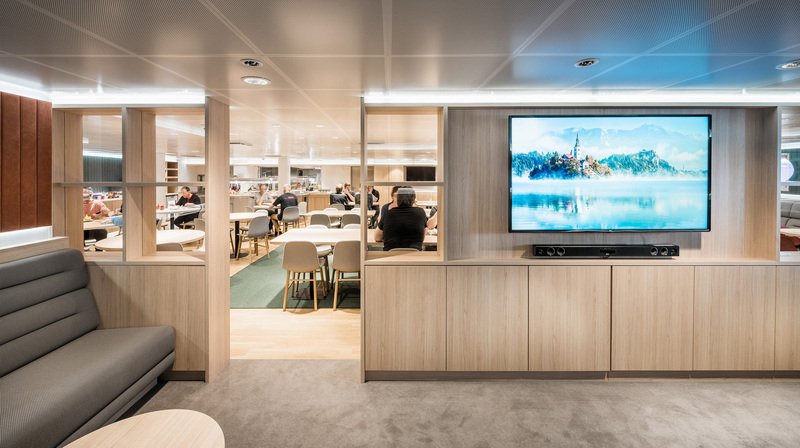 By making changes to the structure and designing high-end spaces, HofmanDujardin improved the comfort and experience of the accommodation. Feeling at home begins when you are not at work. 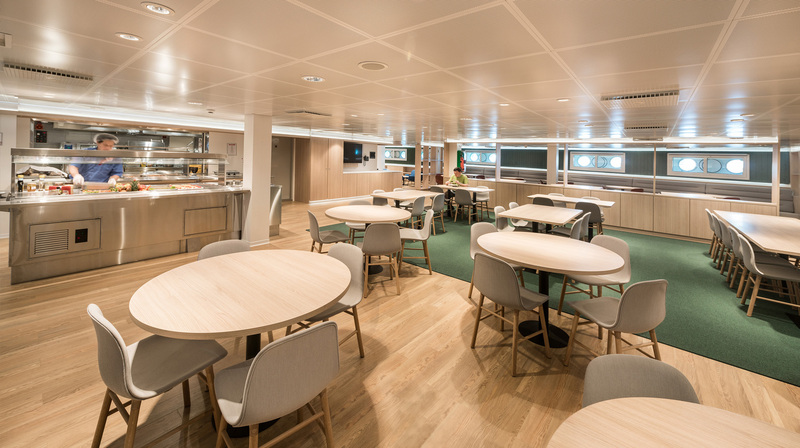 Besides the private cabins, the spare time on board is spent in the areas assigned for leisure, such as the restaurant, living room, coffee room and play room. Prior to the interior design, HofmanDujardin proposed some revisions to the structure of the vessel to cluster these areas. By combining different functions, a spacious and open common floor was created. 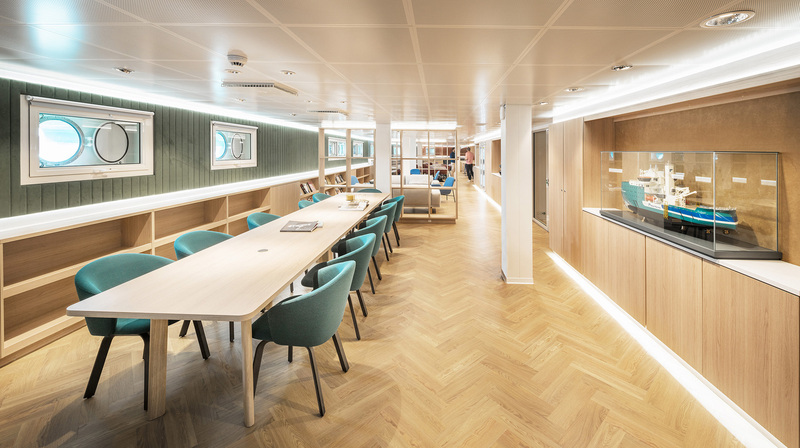 This area reminds of a cruise deck that naturally enhances social encounter. Within the leisure area, different places are created to make everyone feel at home. 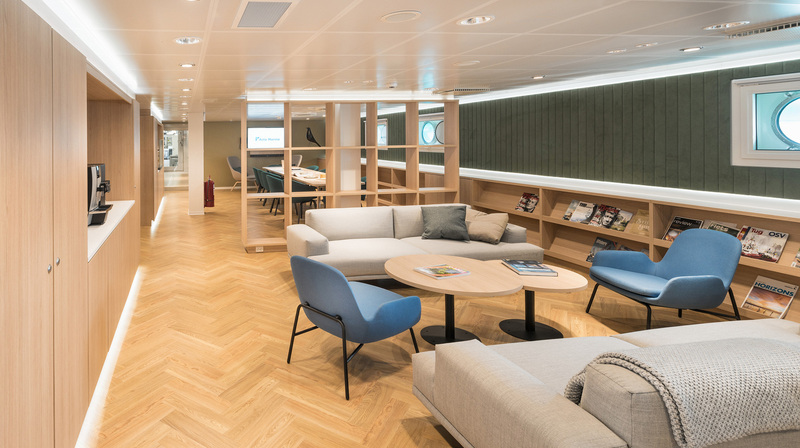 The timber floors and soft padded seats add a warm and grounded environment to the overall cold nature of the ship. High end finishes of the fixed furniture and the carefully selected colours result in a soft look and feel. This feel continues in the private cabins, which are designed to get the maximum out of their limited space. As the only rooms to be alone, the private cabins offer a comfortable place to retreat. The name of the ship, Acta Auriga, is derived of a constellation in former times used for navigation. This theme inspired the integrated wayfinding system. 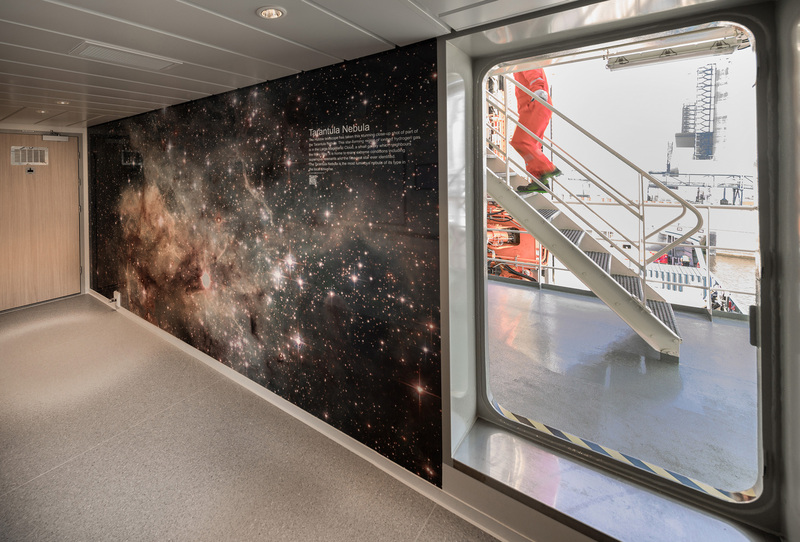 With each deck named after a star, graphic walls add to the identity of the floors. 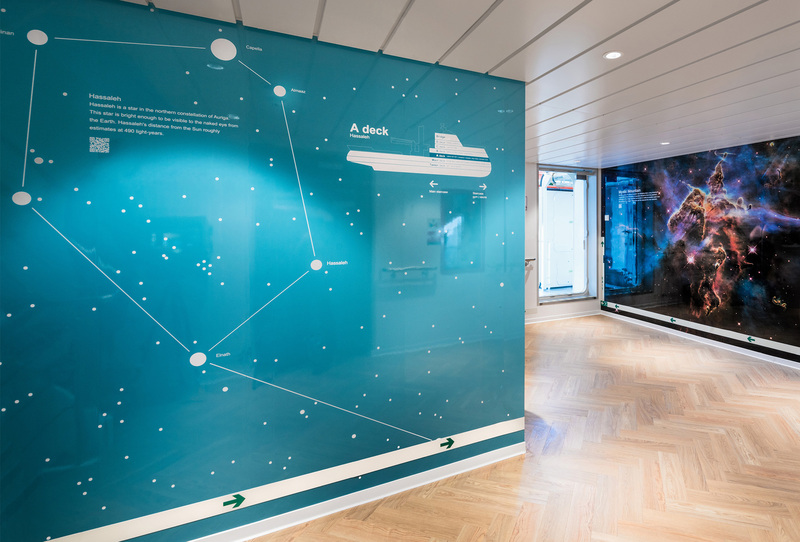 Complemented with satellite photographs, the corridors obtain a more expressive character which enriches the daily flow within the ship. By this, HofmanDujardin strengthens the on-board experience and brings the overall comfort of the stays to a higher level.